We will take holidays as Golden Week holidays in Japan from 29th April to 6th May 2019. As for the inquiry to us, we would like to reply to you each by each from 7th May. click!Do you want to make your Swift more powerful? We had released the new items with the following link. 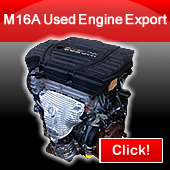 R's Inc have been developing and testing energetically for any parts for Suzuki Swift car. Specially for engine parts, we have been accumulating our own data to develop the One and Only products for all users of Swift car. 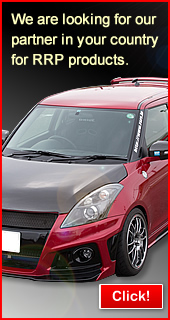 We sincerely hope you can enjoy our website and share the joy of riding Suzuki Swift car. Please click the left banner to inquire us, we'll reply you as soon as possible. All copyright (C) Reserved by R's inc 2009-2013.